To tune your CCDB coil, the very first step you need to do is to chose the correct spring rate for the spring you purchase. Use the Cane Creek Spring Calculator to chose the correct spring rate. Based on 30% sag and 159 lbs weight on full gear, the recommended spring rate is 350 lbs for all-mountain ride and 300 lbs for XC ride. According to the CCDB manual, the Spring Adjustment Nut cannot be turned more than 6 rounds or less than 1 round. If 30% sag cannot be achieved within the the recommended range, change the spring to correct spring rate. The measurement for sag% = (free stroke length - weighted length) / shock stroke. The shock specification for Nomad carbon is 8.5' to 2.5', meaning free stroke length (eye-to-eye) is 8.5 inch and the shock stroke length is 2.5 inch. To run 30% sag on Nomad carbon, the computation should read (8.5 - 7.75) / 2.5 x 100 = 30%, where 7.75 inch (weighted length) is the eye-to-eye measurement when the rider is on the bike at attack position (with full gear). 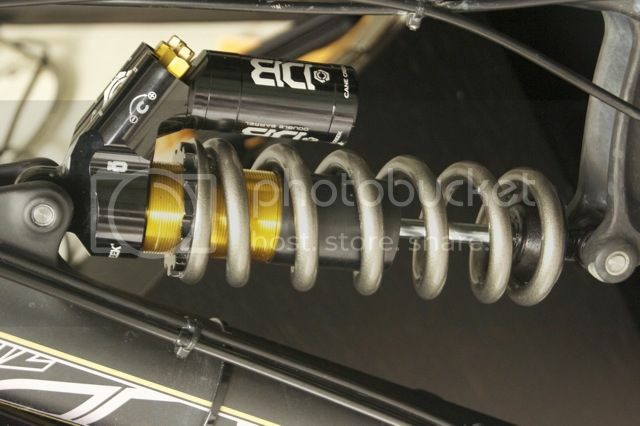 The first photo shows how the free stroke length should be measured and it should read close to 8.5 inch, as the frame itself exerts some force on the shock when the bike is left seating on the ground. Refer to the second photo, get on the bike with full gear in attack position, and ask someone to measure the eye to eye measurement (weighted length). For 30% sag, the eye to eye length should be 7.75 inch, otherwise adjust the spring preload (by turning the Spring Adjustment Nut) to achieve the reading. Once the correct pre-load has been set correctly, tuning of CCDB coil can be done on your favorite local trail. As my favorite trails were temporary closed, I went to Bukit Timah bike trail to tune my new CCDB coil. 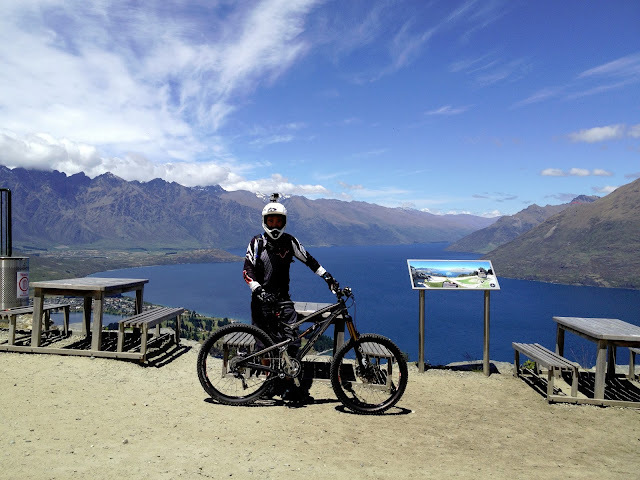 The trail comprises of few technical climbs, short but steep descents, numerous bump and small logs obstacle, handful of tight switchback and few wet corners. Although the test ride was pretty short, the technicality of the trail was good enough for tuning traction and chassis stabilization. I am extremely impressed by the sensitivity of the 4-way adjustment features of the CCDB coil. The ability to precisely tune it to the sweet spot of your riding style is beyond my expectation. The CCDB coils are shipped according to the following factory settings: LSC (12/25 clicks), LSR (12/25 clicks), HSC (2/4 turns), HSR (2/4 turns). The setting serves as a good starting point for riders to tune according to their riding style. IMPORTANT: The CCDB coil is designed in such a way that when you turn HSC, the LSC will turn with HSC. DO NOT hold the LSC adjuster when turning HSC. When I did a bump hop over a root section, I realized a slight bucking upon landing. I increased (clockwise) the HSR by half a turn and returned to do the same bump hop again. The bucking effect was eliminated. The traction and cornering were spot on after I increased (clockwise) the LSC and LSR by half a turn (3 clicks: to slow the movement of the suspension). I did not encounter any harsh impact on square edge as the test ride was awesomely smooth. I might have unconsciously pedal push over those square edge obstacles. As drop does not exist in BT bike trail, opportunity to test bottoming out was challenging. So far, the CCDB coil handled awesomely well on those minor jumps over roots and rocks. I was impressed how those little adjustments affect the ride so drastically. Well, I guest the money was well invested. For now, the CCDB coil was tuned for BT bike trail. The setting are LSC (15/25 clicks), LSR (15/25 clicks), HSC (2/4 turns), HSR (2.5/4 turns). Next on the task list would be Ketam bike park, Woodcutter and Butterfly. 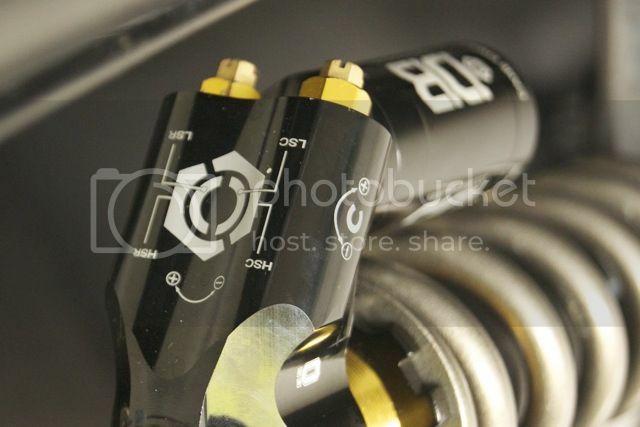 The objective is to continuously fine tune the CCDB coil to identify the 'sweet spot' for my riding style. This is what I describe, "In pursuing for SWEET SPOT!"